Resolving complex objectives through design, technology, and execution. Web Designs, Print Collateral and Photo/Video samples. We actively look to propose on projects that utilize our capabilities. Enhancing your website’s rankings in all of the major search engines. Promoting your project through both online and offline platforms. Photo and video production in our studio or on-site at your location. The Economic Development Commission’s purpose is to provide policy advice on the promotion and development of the business, industrial, and artistic resources of the Town. We won a bidding project to create a website for the TEDC that would be the main go-to website for official information and resources for the town of Torrington, CT, concerning economic developments, tourism, events; town profile, facts, and demographics. The Commission considered a new Website a first step towards a more complete marketing and re-branding coordination effort for the Town. 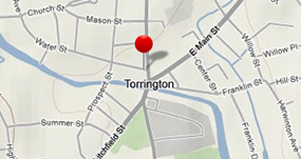 The goal of a new Website is to showcase the town of Torrington and attract entrepreneurs to the downtown area. After several meetings and strategy sessions with members of the Commission, our goal is to make the town of Torrington look vibrant and catering to small businesses, including shops, art galleries, tourists; and to highlight the town’s history and heritage. We want to make Torrington the place to be. We are redesigning, launching, and upkeeping Torrington Economic Development Commission’s website to ensure the content is supported and accessible. We are providing secure and stable hosting on private servers, weekly reporting on website traffic, performance monitoring, software updates, and specialized support to each of our hosted accounts. We are focusing on responsiveness and reacting to service requests quickly.